The revolutionary Intuition f.a.b. ™ razor allows you to shave both forwards and backwards, effortlessly. 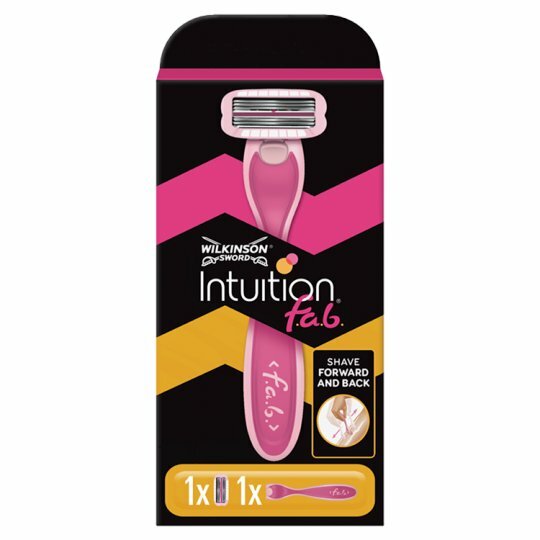 With its unique bi-directional blades- the top blades shave up, and bottom blades shave down, allowing you to shave without having to lift the razor from your skin. Its water activated gel provides effortless glide to help the razor move smoothly over your skin. Shaving just became f.a.b.ulous!